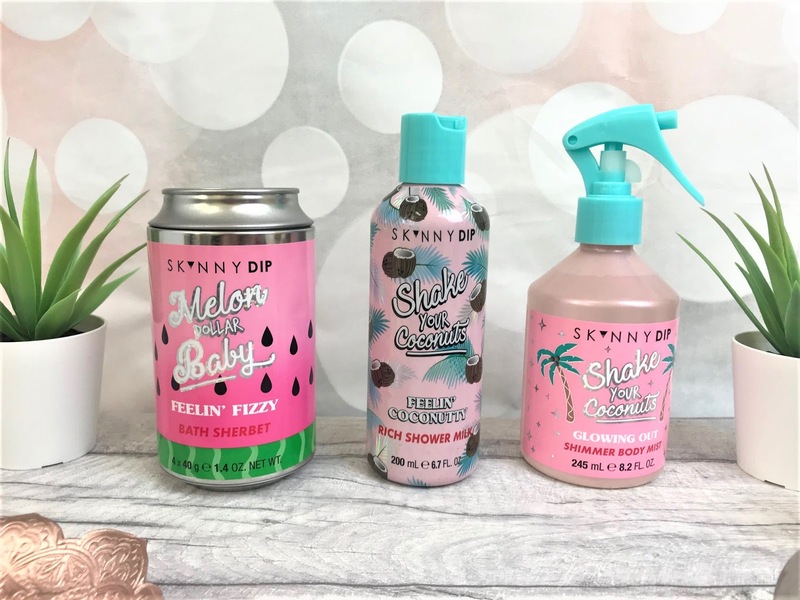 Whilst on a recent trip to Boots I spied the fabulous Skinnydip body care collection - they have really gone to town on their packaging! As the products were on 3 for 2, and you got free chocolates I simply just had to try a few out. 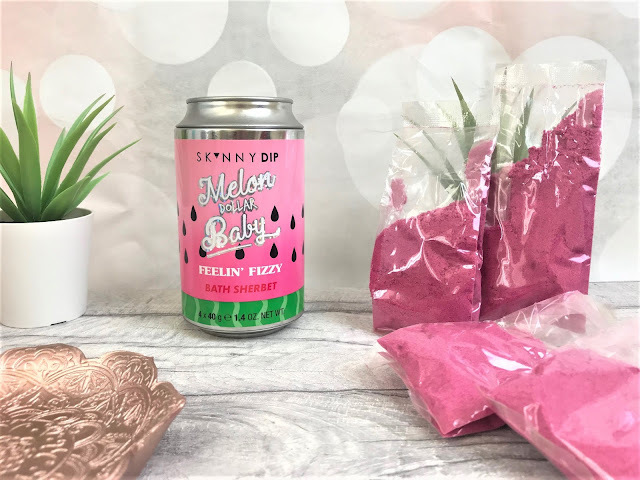 Firstly I picked up the Skinnydip Melon Dollar Baby Feelin' Fizzy Bath Sherbet (£8), which comes in what looks like a soda can. You simply remove the can lid and there are four generously-sized sachets of bath sherbet inside. The sherbet itself is bright pink and of course, smells deliciously of watermelon. What I ended up doing was pouring the sachets into the can as I found one sachet could easily cover two baths and at £8 it isn't the cheapest bath product, and this way it lasts longer. Coconut is definitely one of my favourite scents when it comes to haircare or body care and so my next two items are both coconut-fragranced. 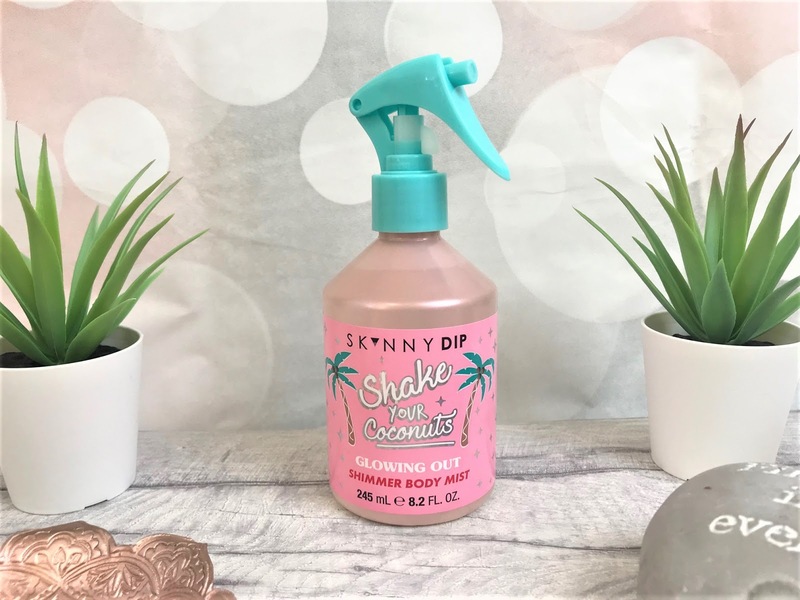 First, we have the Skinnydip Shake Your Coconuts Feelin' Coconutty Rich Shower Milk (£9.50). This Shower Milk is very runny in texture, so be real careful when using it, however it is definitely one of the most moisturising and softening bath products I have come across. It does need a good shake every time you use it as it contains quite a lot of oil, which is why it leaves your skin so delectable. I would use this as more of a treatment product than a wash product, due to the ingredients and the price. My final product is the Skinnydip Shake Your Coconuts Glowing Out Shimmer Body Mist (£8), and I will probably use this more in Spring and Summer when I have my skin on show. All you Zoflora lovers will adore the spray applicator on the bottle and even though it does spray out quite a lot of product at once, the glitter that actually stays on your skin with each spritz is gorgeous! 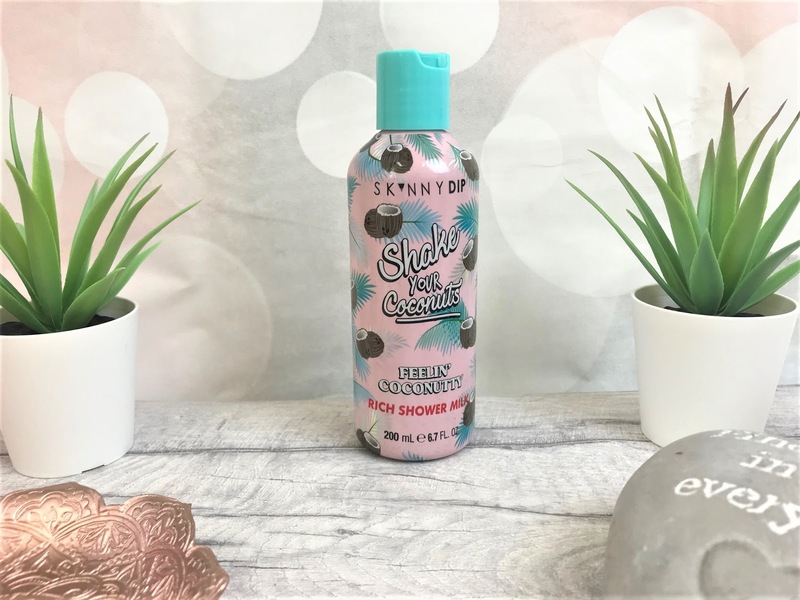 Hence, why Summer will be the perfect time to use this spray, especially with a tan as the shimmer has more of a gold finish than a silver one. It also smells incredible! You can find the Skinnydip body care range instore and online at Boots.